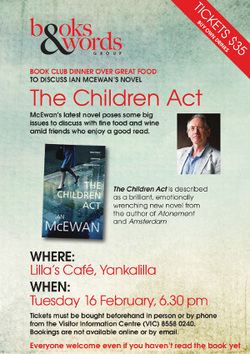 McEwan’s latest novel poses some big issues to discuss with fine food and wine amid friends who enjoy a good read. Price $35 includes food. Purchase your own drinks.